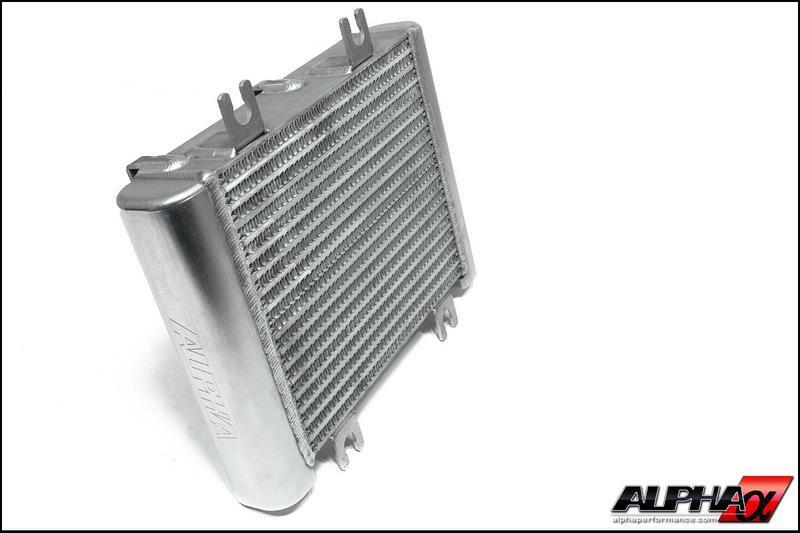 The stock R35 GT-R oil cooler (p/n 21305-JF02B) retails at an astonishing $5133.00! 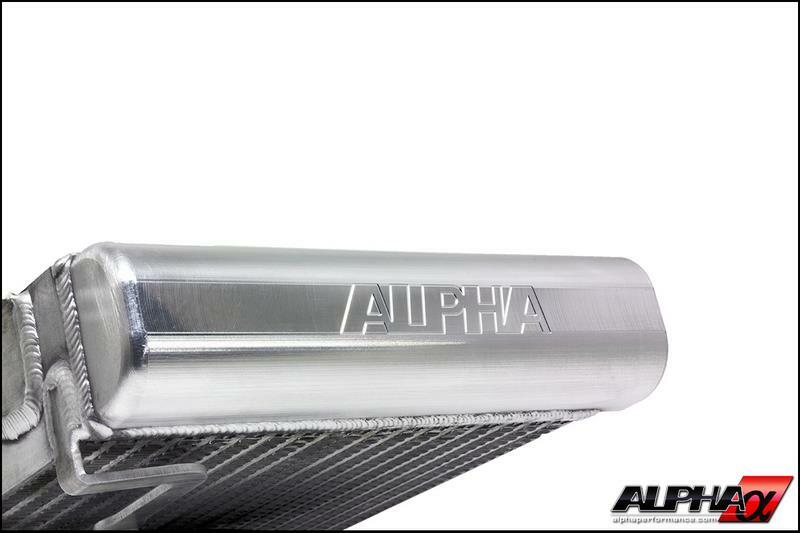 When we saw that price we knew we had to create a solution. 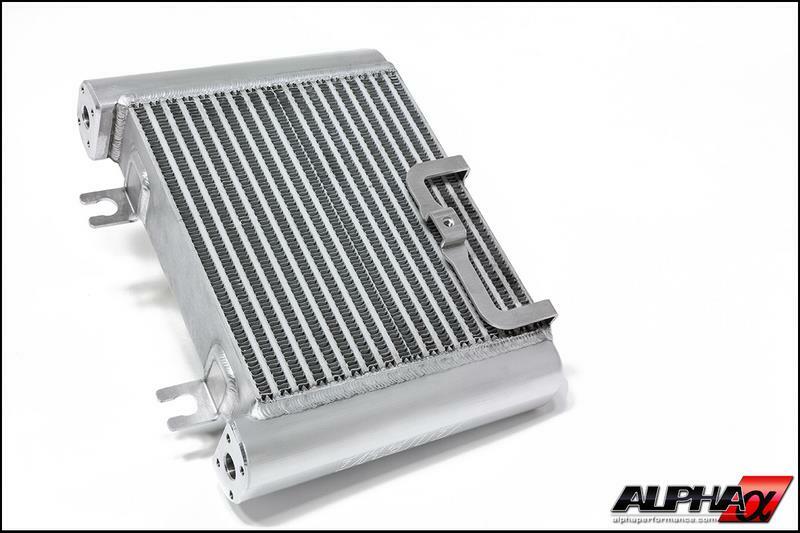 As usual, our engineering team had some unique ideas to make an oil cooler upgrade which was easy to install, more efficient and most importantly affordable for our customers. 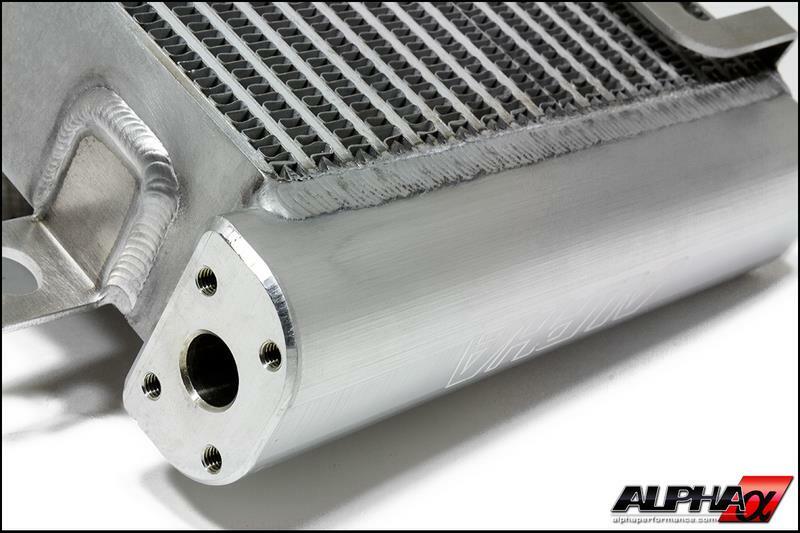 Instead of designing complex brackets, fittings, replacement lines and hardware or requiring modification of factory components we decided to make our oil cooler a true bolt in affair. 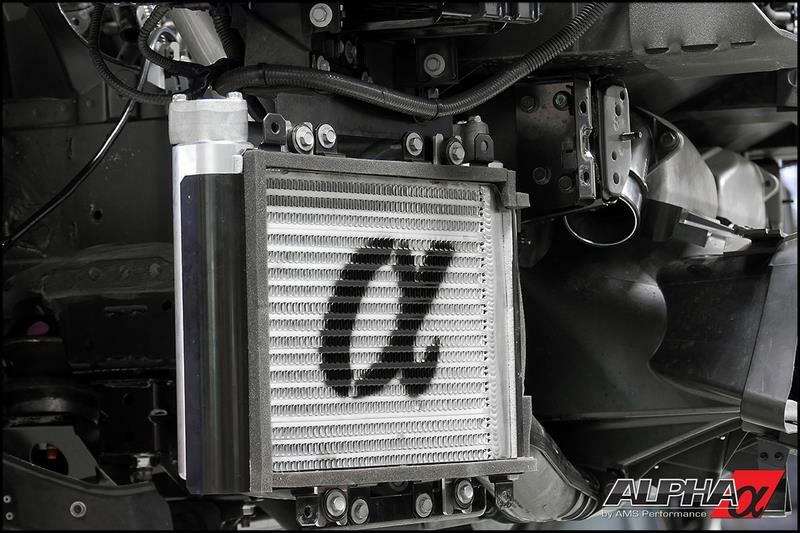 By choosing a simpler approach we save you the worry about extra components that can corrode or leak. 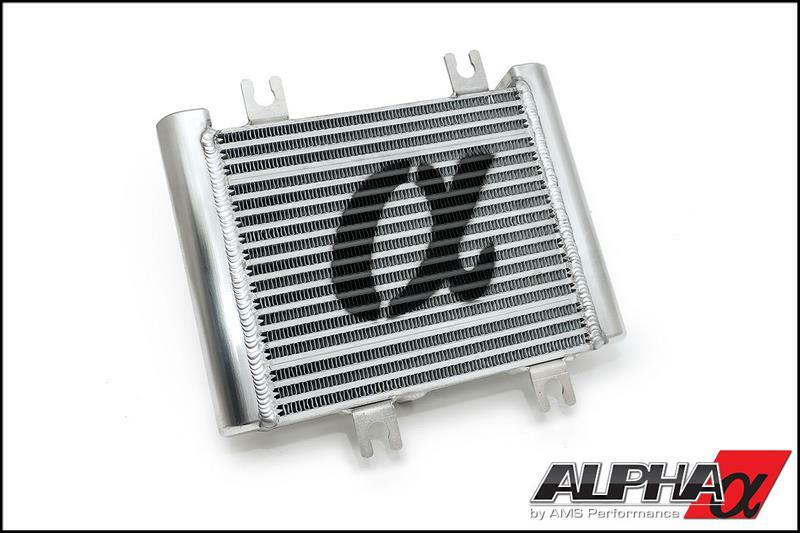 The Alpha Oil Cooler core uses all of the factory brackets, mounts, lines and shroud (no trimming required) exactly like the factory oil cooler core. This removes the added complexity of other alternatives saving you time and money.